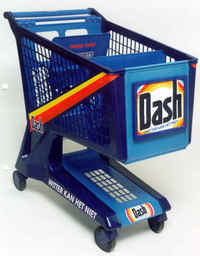 It took many more months and tries than I had imagined, but, shhhhhh, I don't wanna say it too loudly....I think I finally have the cart recreated for Scrapbookers Bubble Bath. You all would not believe the stories behind getting this thing up and running ~ I came close to quittin'! However, with the new products coming within the next year, it will make it easier for us all. For now, the only product is the Unto All Generations Volume I and II, so, if you have the concordances, this really is unexciting news for you :) The only change from the old cart is that payment has to be received before shipment can be completed. I did have quite a bit of trouble collecting payments this season, so, as much as I hate to do this, I have to step up with all the other internet stores out there. For those of you who do not have the concordances yet, I left the "Moving Sale" through January 2nd. And, if you already have I or II and, want the other, I will have those products on the site by the end of the day December 28th. Also, one more thing, at some point you will see the He Keeps Us Faithbooking Devotionals on there ~ however, due to the high level of interest and much prayer, this will simply include the contact information to receive the Devotionals free. You all have really touched me with your requests and stories, and, I am humbly prayin' for some mighty work in His Kingdom this year. So, on to more work on SBB and the coming He Keeps Us Devotionals ~ Now that life has begun to settle in my home, I am so excited to see what 2007 brings in my life and where He takes this amazing dream of making eternal impacts through scrapbooks, cards, and crafts! As Christmas rapidly approaches, many of our cameras will be at full throttle, trying to capture the precious memories of this beautiful life the Lord has blessed us with. And, hopefully in a couple of months, the pages will be completed to record the stories for future generations. As the season flys by, be sure to take pictures of what Christmas means to you. Whether it be a special decoration, a favorite recipe, or a treasured tradition, take pictures of more than just opening the gifts. The possibilities are individual and endless, but, here is just a few quickies for a 'Nativity picture' to get your gears turning and maybe seeing Christmas through a different lens. What does that particular Nativity mean to you? Who bought / gave it to you? Why is it your favorite such as colors, expressions, size? 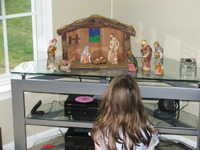 What are your thoughts as you look at or set up the Nativity? How has the Baby in the Manger touched your life? Blow up a picture of Nativity and use it as a front page in a Christmas album or a page in your own Journey to a Legacy Album. Get the camera working, don't forget to use your Journey Jots , and, be sure to spend a few moments at the Manger ~ it is tiny, yet mighty!